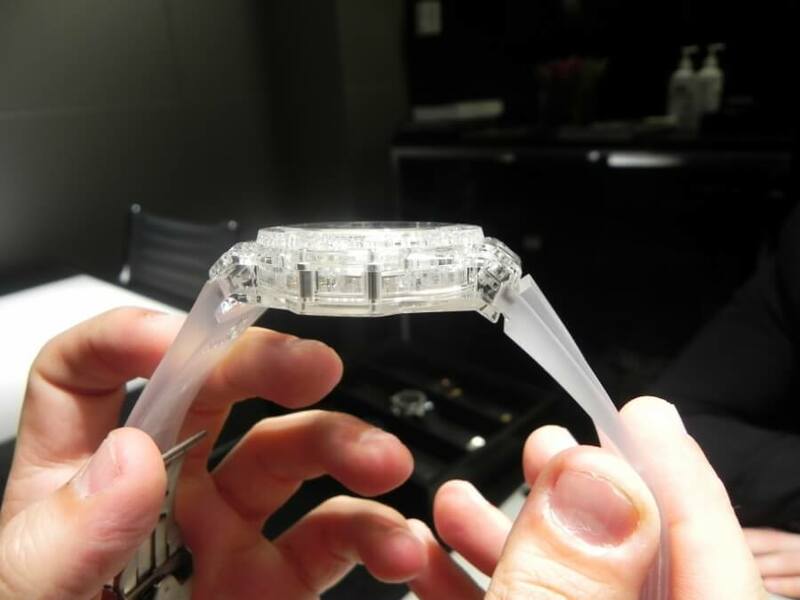 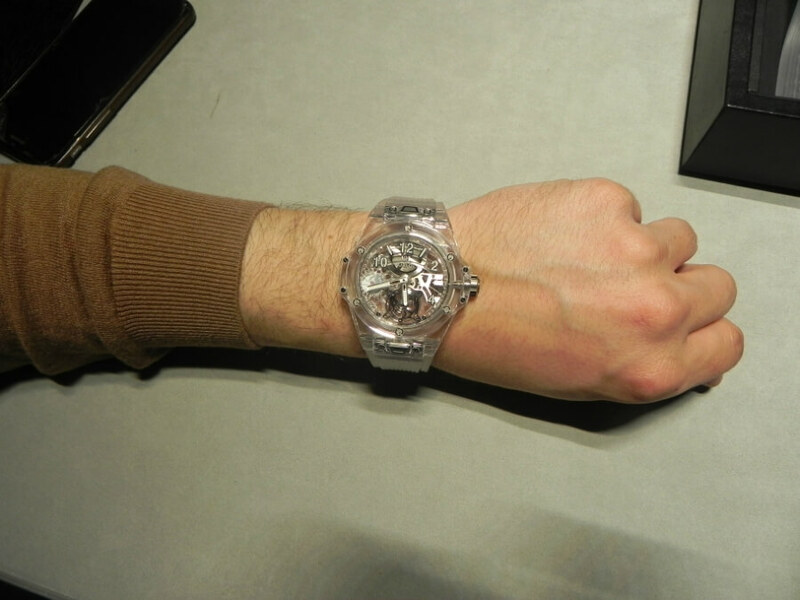 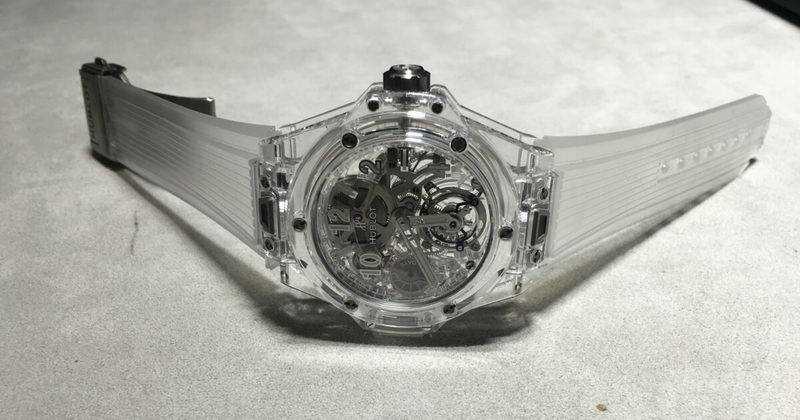 The new Big Bang Sapphire Tourbillon is completely transparent, including the case, dial, strap and tourbillon movement. 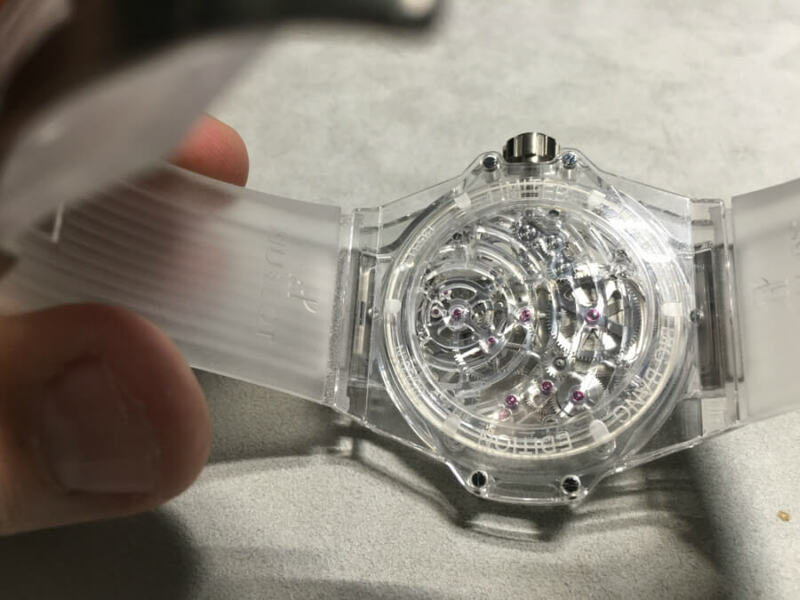 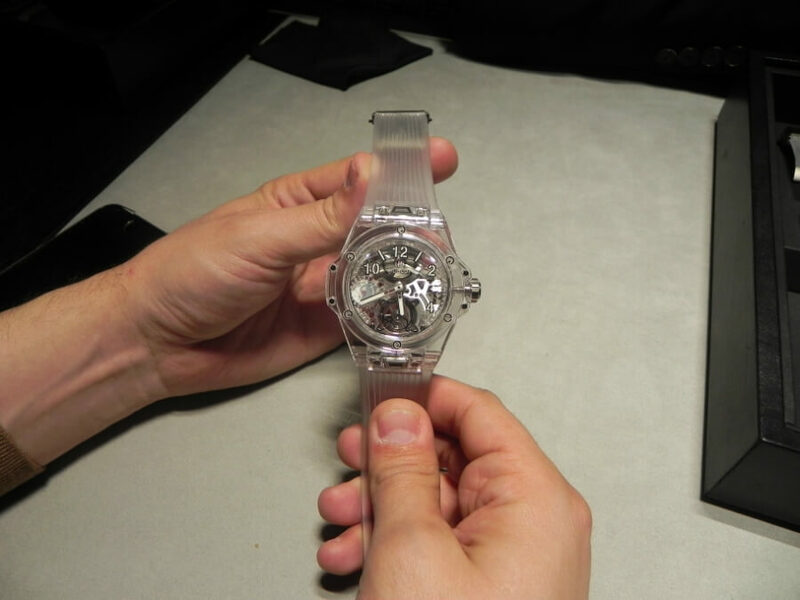 The crystalline connections disappear to reveal the skeleton mechanics of the tourbillon, for which the cage is held in place by a strip cut from sapphire. 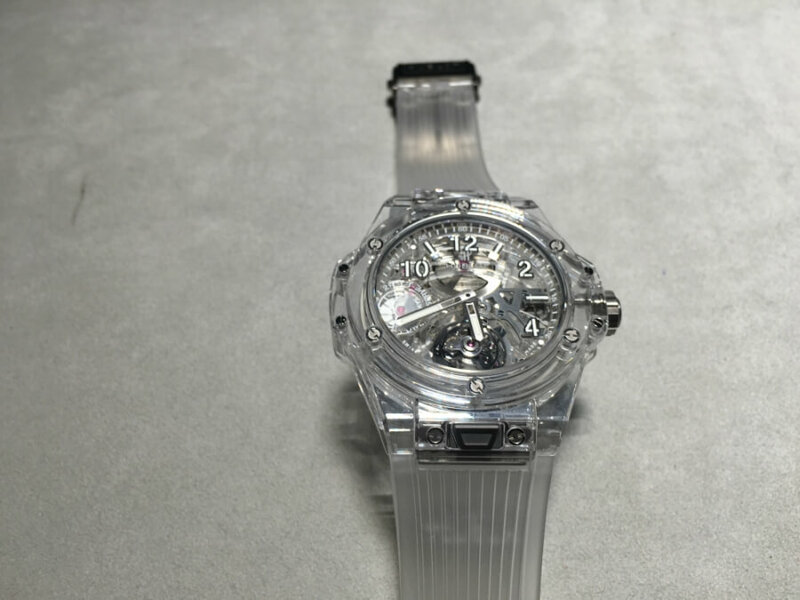 Hublot’s innovation and research has once more broken through a glass ceiling when it comes to usage of sapphire crystal in watchmaking. 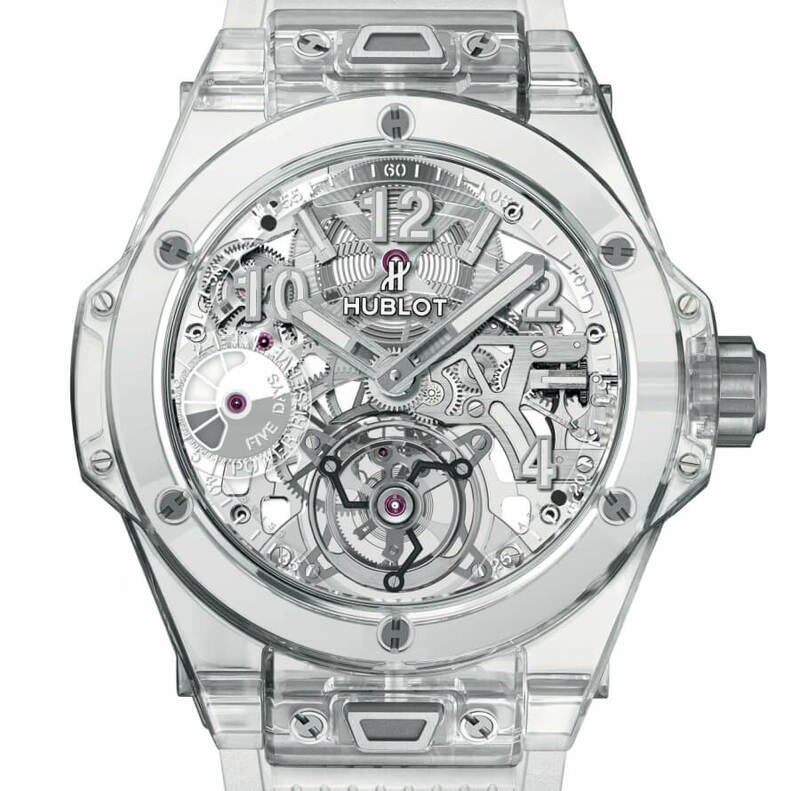 The price for the Hublot Big Bang Sapphire Tourbillon is $148,000limited edition of 99 pieces and $190,000for the one with a diamond-set bezel, which is also limited to 99 pieces.